land tenure – One Billion Hungry: Can We Feed the World? The Budongo Forest Landscape, in western Uganda, has, in the recent past, seen a marked change in the land cover, predominantly from forest to sugarcane. 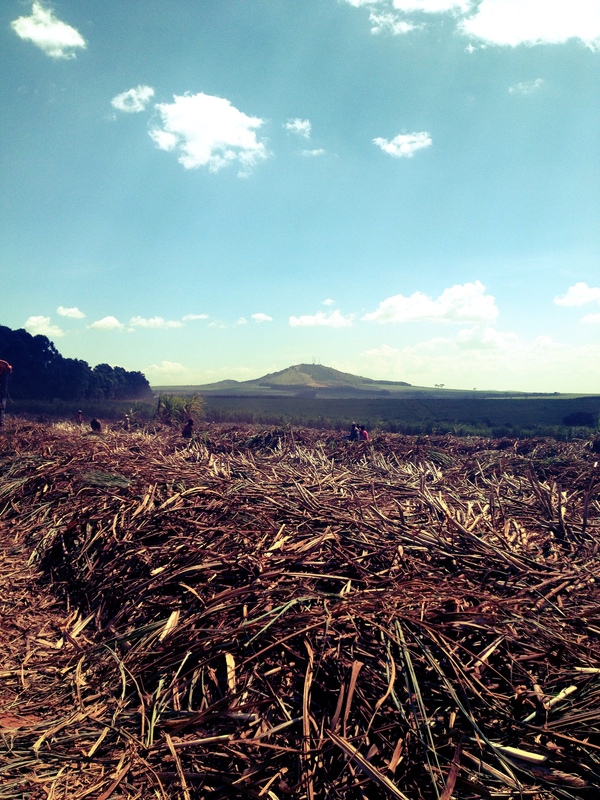 The expansion of sugarcane has resulted in large areas of forest and bushland being converted to agriculture in the last 10 to 15 years, decreasing connectivity between forest patches. Kinyara Sugar Works Ltd (KSWL), established in the 1960s and rehabilitated in the 1980s, has grown rapidly in the past couple of decades – sugarcane fields now covering some 28,500ha. Until now their growth strategy appears to have been expansion at all costs, largely through the development of their outgrowers scheme. Today there are about 6,000 outgrowers who provide 60% of the company’s capacity. At present they are no longer taking on new outgrowers, due to capacity having been reached at the mill and their future growth plans focus far more on intensification and outgrower training than on expansion. Putting aside the impacts of forest loss in the landscape, the establishment and growth of Kinyara Sugar Works Ltd has had a significant impact on the people of the area, both beneficial and disadvantageous, and it is difficult to draw conclusions as to whether, amongst outgrowers or the population as a whole, this cash crop has had a positive or negative influence. The impact of cash crops, in general, on food security and wealth is a topic much debated in the field of agricultural development. Uganda’s Vision 2040 sets out the country’s ambitions for future development, aiming to become an upper middle income country by 2037, and the rates of growth and key activities needed to achieve this, namely a constant GDP growth rate of 8.2% per year (between 2010 and 2013 GDP growth averaged 5.5% per year). The fear is that in pursuing such rapid economic growth, including promoting high value crops, the poorest and most marginalised people will suffer, unable to participate in a formal market-oriented economy. Yet cash crops are often promoted by government as a mechanism for smallholder farmers to increase their incomes and, as a result, improve food security. Although evidence in support of these views is limited, a study of cacao and oil palm farmers in the Ashanti region of Ghana found that food availability, food access and utilisation had a negative relationship with the intensity of cash crop farming, thought to be a result of cash crops driving up food prices and competing with subsistence agriculture for land. Another investigation found the relationship between cash crops and household food security to be dependent on many factors including the type of crop, its uses and the market and policy conditions. In essence if well-planned and implemented, smallholder farmers can benefit from the additional income cash crops can bring. Whether this income would then be spent on a diverse range of nutritious foods, and whether such foods would be easy to attain is another matter. Global leaders launch initiative to bridge conservation and agriculture, Bioversity International. Small-scale Farmers: The Missing Element in the WIPO-IGC Draft Articles on Genetic Resources, Quaker United Nations Office. A recent article by the Institute for Agriculture and Trade Policy (IATP) outlines the food price situation and the actions that need to be taken to reduce price volatility. In 2012, as prices began to creep higher and a third food price spike since 2007 looked likely, governments should have been poised to act to curb food price volatility once and for all. As the IATP authors believe, governments did not take this opportunity and failed to address the root causes of food price volatility. Ownership of land, or the absence of, is often cited as being a major barrier to increasing food production and achieving sustainable livelihoods in developing countries. When farmers do not own their own land, particularly true in the case of female farmers, it can be difficult to access credit and invest in on-farm improvements. Beyond the practical benefits of owning your own land it also reduces conflict over land use and removes the threat of having your livelihood taken away. An estimated five million people worldwide suffer from forced evictions every year.